What’s your ride getting dressed up as for Halloween? 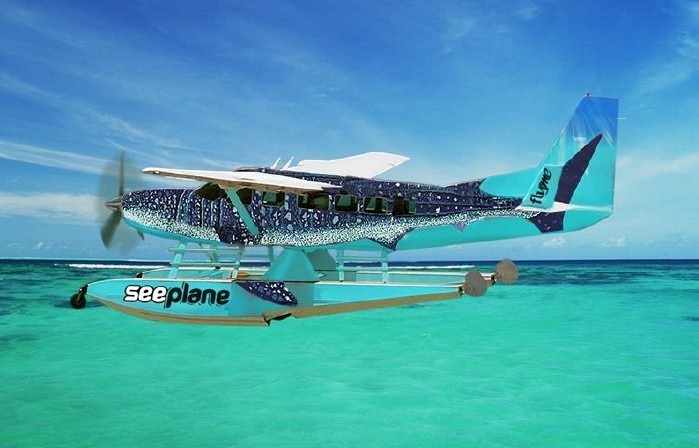 The prize for best seaplane costume definitely goes to FlyMe’s “SEEPLANE” had its maiden flight this week. 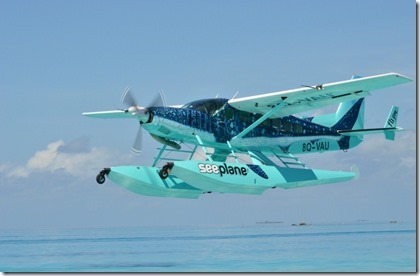 It is appropriately based at the epicentre of everything whale shark in Maldives near the bottom of the South Ari atoll, the Villa International Airport Maamigili. 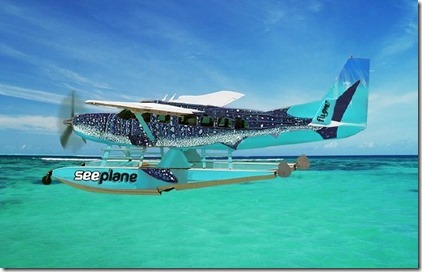 In fact, the whale shark marine sanctuary goes right by the airport. The amphibian Cessna C208 holds up to 7 passengers (plus 2 pilots). It serves all the resorts in the area for 20 minute (or longer) privately booked and scheduled excursions with a minimum of 4 people. 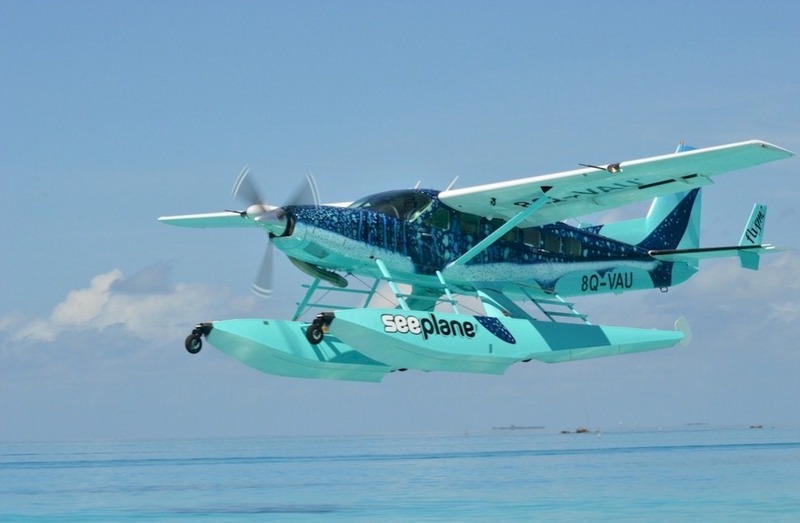 Seaplanes have always been a distinctive way to experience the unique, other-worldly geography of the Maldives. And if you don’t spy a whale shark swimming below, you can always have a photo-op with this aeronautic imposter.